Cleaning Foam especially created for combination, can be used by all skin types, even the most sensitive. This lotion becomes a lightweight foam to the pleasure of a gentle cleansing. Vegetable Glycerin from India, that moisturizes your skin. A lightweight foam with no soap and no gas, for a smooth cleansing of your skin. 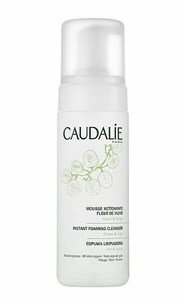 Mix the Fleur de Vigne cleansing foam ® with Gentle Exfoliating cream for an extremely soft scrub, with a creamy texture. 98% ingredients of natural origin! Morning and evening, on the skin moistened. Do not shake before use. The best make-up removers and face cleansers! Essential step in any beauty routine, there are products for all tastes and needs of the skin! Get to know our suggestions!